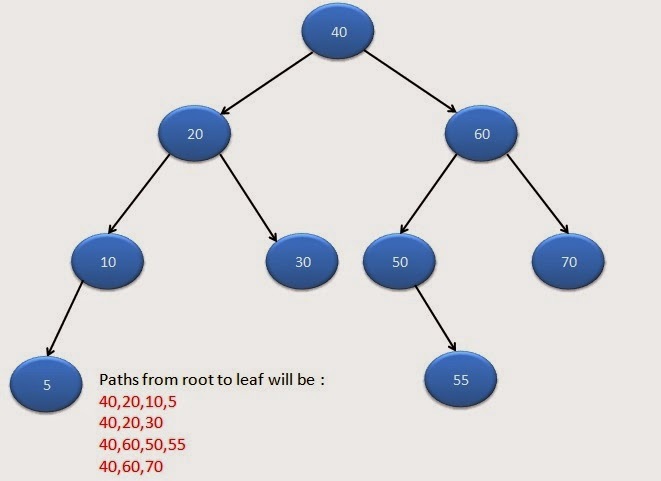 This is 9th part of java binary tree tutorial. In this post, we will see about program to print all paths from root to leaf in a binary tree in java. put node.data in array and increment len by 1. If encounterd leaf node(i.e. node.left is null and node.right is null) then print array. I appreciate your blog. Its really nice on java programming. Its a great tutorial for the beginners. Really liked it. Thank you for all the information.